For all ‘beginners’ who hope to say goodbye well. How we leave this life will be our final word to those we love – yet how many of us will be ready? In Time to Live, Ann Clifford explores the issues around facing death with faith. A gentle and friendly companion, she sensitively encourages conversations around the one certainty we avoid talking about. 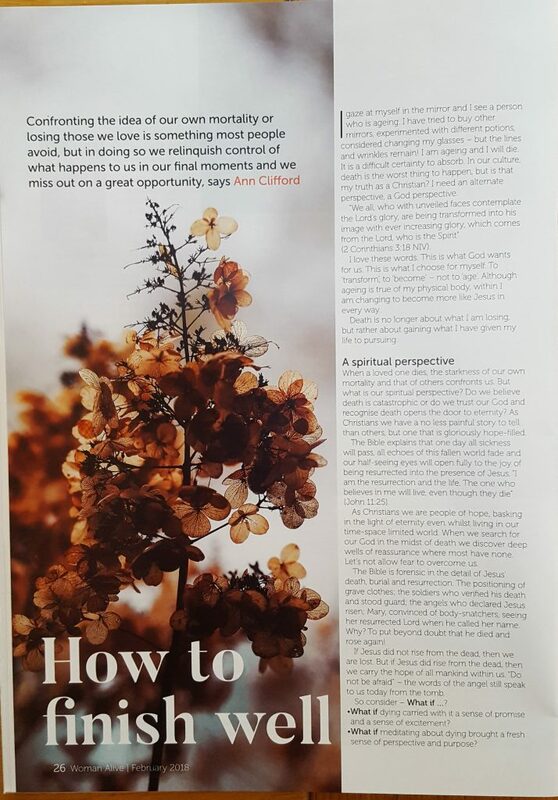 Written in two parts, Time to Live supportively addresses both the personal and practical elements dying involves, and how we can prepare for them. Acknowledging the pain and confusion that inevitably accompany loss, Ann looks forward with joy to the Christian hope of life to come. Let her walk you through the process of facing physical pain and emotional distress but also of conquering fear and receiving God’s all-embracing love. Death is only a portal to our future. 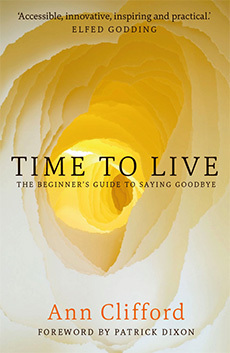 I list below the times I will be speaking on the content of my book Time to Live: The Beginner’s Guide to Saying Goodbye. Do join me as most venues will welcome visitors. answers questions and signs copies.